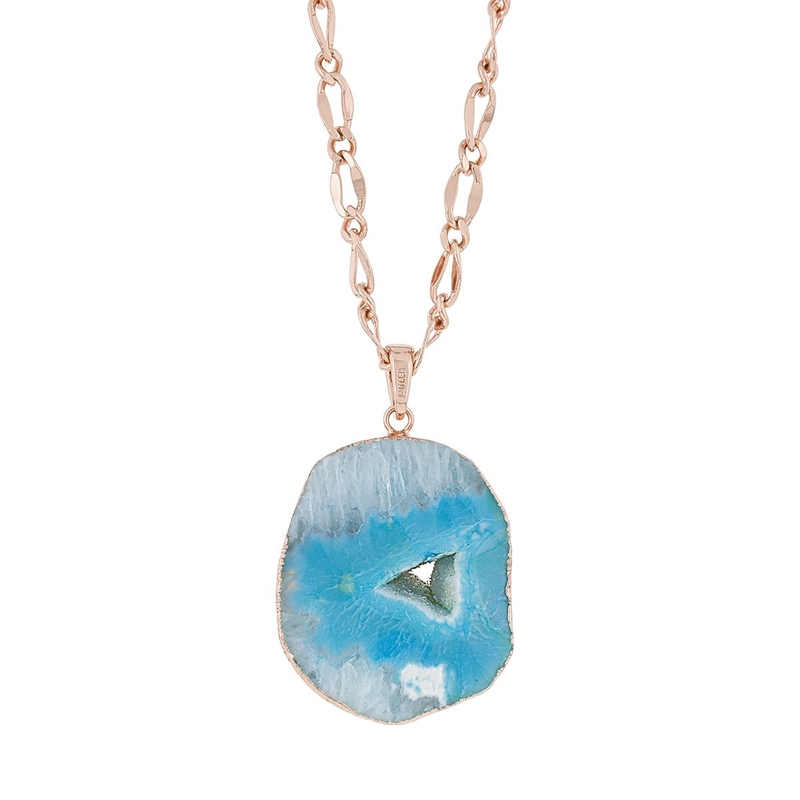 Each unique agate is enhanced with a rose gold electroformed frame. Each stone has its own unique character; no two stones are the same. Swarovski crystal encrusted bail and 30” adjustable chain with lobster claw clasp. Raw Style Collection. Copyright © 2019 Fifth Avenue Collection - USA. All rights reserved.